Mini Cooper S decoke service Northern Ireland. what models does it involve. The N14 engine, Cooper S from 2007-2009 or Mini FJCW from 2007 – 2012, Covering both R55 Clubman and R56 Hatchback models. Unfortunately the above listed Mini’s will be suffering from a build-up of carbon around the intake valves and ports. 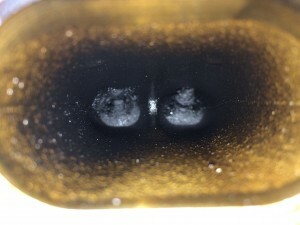 This condition is due to the second generation MINI’s using direct injection for improved performance and fuel economy. A N14 de-coke service is your best option for moving forward. However if you don’t take steps to minimise the impact of this carbon build-up your Mini can suffer all manner of issues and poor performance. On arrival for your Mini Decoke service we will give your vehicle a visual health check before continuing the N14 decoke procedures. We need to remove air intake manifold and rocker covers on the Mini N14 engine, this can take a while so we advise booking in your Mini Cooper S or FJCW and leaving it with us. It takes approximatley 4 hours to complete the service. 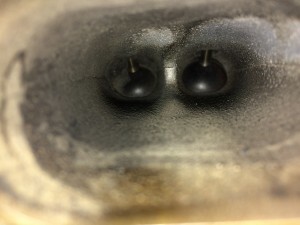 We remove the carbon build up by blasting the valves with specialist Mini tools and extraction vacuum. The walnut crushed shell blast media is purchased direct from BMW to provide the exact grade and diameter of walnut shell de-coking granuals . The walnut blasting system is used by MINI and is proven to be safe and effective.